Got this as a gift. 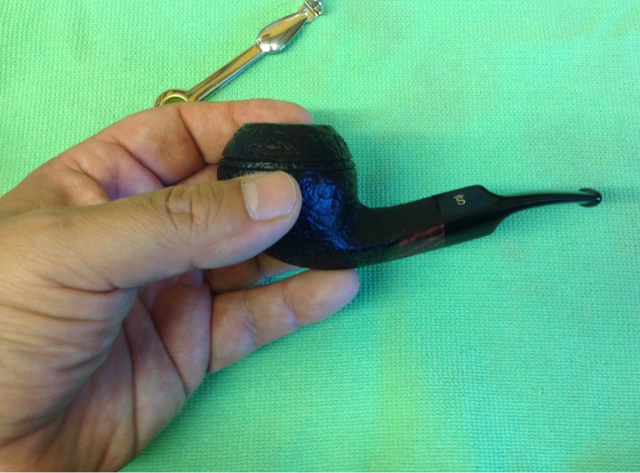 This is a black sandblast briar pipe, bulldog shape. It is a small pipe, good size for smoking flake tobacco since the chamber is 1.5 inches deep. Bowl walls are thick so it should not get too hot while smoking. Should be a good traveling companion. Price is around $62 from Pipes and Cigars. Really nice pipe.